One of the things we like to do is to really go all out for special events. And, ever since I was a kid, the Tooth Fairy has been right near the top of the list. A little magic goes a long way towards making your child feel comfortable about losing a tooth. That’s how 123ToothFairy.com was born. The Top Tooth Fairy Site on the Internet! What I’m trying to do is develop the top Tooth Fairy site on the Internet. Need a special letter from the Tooth Fairy? I’ve got two great ebooks available for immediate download. You can find the perfect letter for your child and customize it quickly and easily for tonight’s visit from the Tooth Fairy. Losing a tooth is such an exciting time for your child. Make it even more magical with a Letter from the Tooth Fairy. However valuable a child’s tooth is in today’s market, a note from Your Friend, THE TOOTH FAIRY is infinitely more valuable. When your children are grown, they will have something wonderful that will be treasured forever. Upon losing their first tooth, be sure your children leave not only the tooth but also a brief note requesting communication from THE TOOTH FAIRY. You may be amazed at the wonderful results. Best Dentist Guide also has some great tooth fairy letter templates here. It is late at night. The Tooth Fairy is going to make an unscheduled visit tonight. Are you ready? Imagine how excited your child will be when the Tooth Fairy leaves more than a dollar or two! Leaving your child a Letter from the Tooth Fairy has never been easier. Check out these Free Printable Tooth Fairy Letters ready for you to print right now. Want to make the Tooth Fairy’s visit even more special? These wonderful Tooth Fairy certificates provide a great addition to your letter and the Tooth Fairy’s gift. STOP! Check out this short (< 5 minutes) video showing you – in real time – how quick and easy it is to customize these Tooth Fairy letters and certificates (simply click on the image below) . Part of the reason I developed this site was my frustration over the lack of information on the Tooth Fairy. So, I’ve researched the best out there, and come up with my own version of the “facts” around the origin of the Tooth Fairy (and what she does with all those teeth). 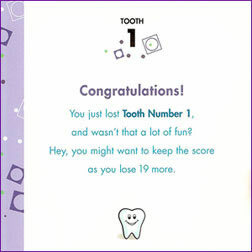 I hope you enjoy the 123ToothFairy.com web site, and you find what you need to make your child’s visit from the Tooth Fairy as special as possible. And, if you have any ideas on how I can improve this site, just visit the Contact page and drop me a line. 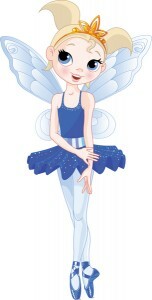 The Tooth Fairy is busy day and night writing and sending Tooth Fairy Letters, removing baby teeth from Tooth Fairy Pillows and leaving Tooth Fairy Gifts for eager and hopeful children. From time to time the Tooth Fairy receives a note or message from a child or from an adult sharing an amusing Tooth Fairy experience. These letters make the Tooth Fairy’s day!! Tooth Fairy Pillow, Too Small! A three-year-old child received Toothy Tales and the Tooth Fairy Pillow companion in the mail. Not realizing the Tooth Fairy isn’t responsible for the removal or loss of baby teeth, this slightly misinformed but eager believer repeatedly urged her mother’s appeal to the Tooth Fairy for early and complete tooth removal. The intention was to place all baby teeth into the pocket of the Tooth Fairy Pillow for the promised Tooth Fairy gifts to appear — and right now!! The Tooth Fairy knows how things work in nature — all 20 baby teeth would not fit into the pocket of the Tooth Fairy Pillow! Undoubtedly, one of the reasons baby teeth falls out one at a time. From being habitually wiggled a “first tooth to be lost” popped out unexpectedly and disappeared at a most critical moment — while the owner was boarding an airplane!! Given the timing was inopportune there was no possible way to organize an adequate search for the escaped tooth. Thus, the person most concerned — the child — was forced to proceed onto the plane. This much-anticipated baby tooth was truly lost. Other boarders observing the incident and hearing the protests and concerns of both child and parents began to search about on the floor of the terminal. You might guess what happened next and you would be correct. One of the last persons to board the aircraft walked in holding the stray tooth up for all to see. The passengers cheered, the finder of the tooth was a hero and, of course, the child was thrilled and greatly relieved. Did the Tooth Fairy have anything to do with the finding of this lost tooth? Only the Tooth Fairy knows for sure. While gathering consumer input for Toothy Tales from an 11-year-old, the Perfect Pumpkin Press heard a Tooth Fairy Tale told with fond but subtle realization. The story goes like this: One of the Tooth Fairy believer’s baby teeth was extracted for orthodontic purposes. To lift spirits from this prematurely lost tooth, the child received a five dollar bill from her parents. As the child shared the event, she noted the Tooth Fairy had left an additional five dollar bill in her Tooth Fairy Pillow the night following the extraction. The child then paused, thought for a moment and smiled (almost giggled) in a knowing, grownup manner. Although unspoken, the truth of the Tooth Fairy’s existence was clearly revealed. The Tooth Fairy realizes this moment of awareness is inevitable but also knows children like to glean the rewards left in Tooth Fairy Pillows, no matter the belief level, as long as possible. Long live the Tooth Fairy and Tooth Fairy Fun! !